^ Hacking, Ian (1990), "A Universe of Chance", The Taming of Chance, pp. 200–215, Cambridge U. Pr. ^ Stigler, Stephen M. Mathematical statistics in the early States. Annals of Statistics. 1978, 6: 239–265 . JSTOR 2958876. MR 483118. doi:10.1214/aos/1176344123. ^ Crease, Robert P. Charles Sanders Peirce and the first absolute measurement standard: In his brilliant but troubled life, Peirce was a pioneer in both metrology and philosophy. Physics Today. 2009, 62 (12): 39–44. doi:10.1063/1.3273015. （原始内容存档于2013-01-12）. 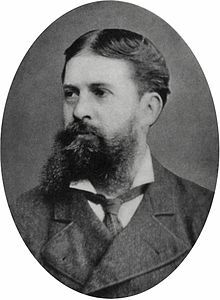 ^ Cadwallader, Thomas C. Charles S. Peirce (1839-1914): The first American experimental psychologist. Journal of the History of the Behavioral Sciences. 1974, 10 (3): 291. doi:10.1002/1520-6696(197407)10:3<291::AID-JHBS2300100304>3.0.CO;2-N.
^ Nöth, Winfried (2000), "Charles Sanders Peirce, Pathfinder in Linguistics", Digital Encyclopedia of Charles S. Peirce. Anellis, I.H. (1995) "Peirce Rustled, Russell Pierced: How Charles Peirce and Bertrand Russell Viewed Each Other's Work in Logic, and an Assessment of Russell's Accuracy and Role in the Historiography of Logic," Eprint Modern Logic 5: 270–328. Aristotle，"The Categories," Harold P. Cooke (trans. ), pp. 1–109 in Aristotle, Volume 1, Loeb Classical Library。London: William Heinemann，1938. Aristotle, "On Interpretation," Harold P. Cooke (trans. ), pp. 111–179 in Aristotle, Volume 1, Loeb Classical Library. London: William Heinemann, 1938. Aristotle, "Prior Analytics，" Hugh Tredennick (trans. ), pp. 181–531 in Aristotle, Volume 1, Loeb Classical Library. London: William Heinemann, 1938. Atkin, Albert (2006) "Peirce's Theory of Signs". Burch, Robert (2001) "Charles Sanders Peirce,". Revised, Winter 2005. Dewey, John (1910) How We Think, Lexington MA: D.C. Heath。Reprinted 1991, Buffalo NY: Prometheus Books. Haack, Susan (1998) Manifesto of a Passionate Moderate. Chicago IL: University of Chicago Press. Houser, Nathan (1989) " The Fortunes and Misfortunes of the Peirce Papers," Fourth Congress of the International Association for Semiotic Studies, Perpignan, France, 1989. Published, pp. 1259–1268 in Signs of Humanity, vol. 3, Michel Balat and Janice Deledalle-Rhodes (eds. ), Gérard Deledalle (gen. ed. ), Mouton de Gruyter, Berlin, Germany, 1992. Liddell, Henry George，and Scott, Robert (1889) An Intermediate Greek-English Lexicon, Oxford UK: Oxford University Press。Reprinted 1991. Mac Lane, Saunders (1971) Categories for the Working Mathematician, New York: Springer-Verlag。Second edition, 1998. Peirce, C.S. (1877) "The Fixation of Belief," Popular Science Monthly 12: 1–15. Reprinted CP 5.358-387. Peirce, C.S. (1878) "How to Make Our Ideas Clear," Popular Science Monthly 12: 286–302. Reprinted CP 5.388-410. Peirce, C.S. (1899) " F.R.L. (First Rule of Logic)," unpaginated manuscript. Reprinted CP 1.135–140. Peirce, C.S. (1992) The Essential Peirce, Selected Philosophical Writings, Vol. 1 (1867–1893), Nathan Houser and Christian Kloesel, eds. Bloomington and Indianapolis, IN: Indiana University Press. Peirce, C.S. (1998) The Essential Peirce, Selected Philosophical Writings, Volume 2 (1893–1913), Peirce Edition Project, eds. Bloomington and Indianapolis, IN: Indiana University Press. Robin, Richard S. (1967) Annotated Catalogue of the Papers of Charles S. Peirce. Amherst MA: University of Massachusetts Press. Taylor, Barry N., ed. (2001) The International System of Units, NIST Special Publication 330. Washington DC: Superintendent of Documents. van Heijenoort, Jean (1967) "Logic as Language and Logic as Calculus," Synthese 17: 324–30.